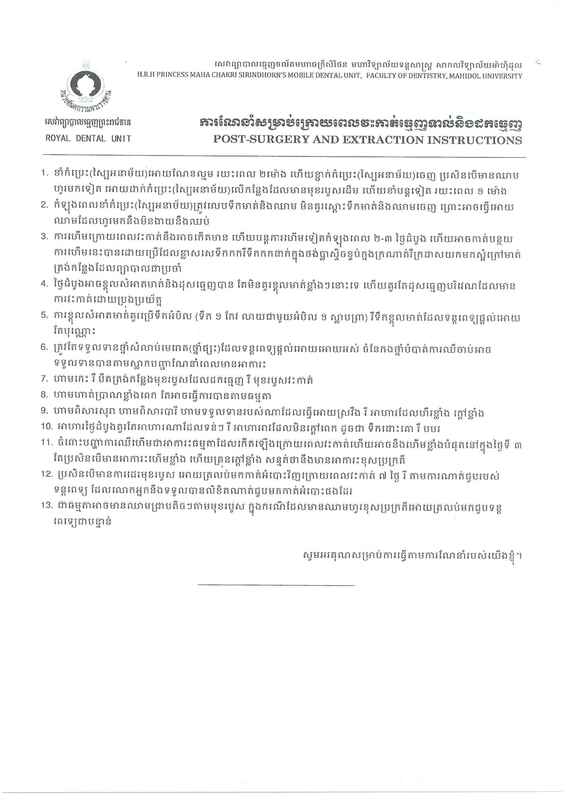 The 2015 Cambodia Grade 12 examinations will be held for 2 days, 24 to 25 August 2015, and will be sat by more than 88,000 candidates. I don't know whether to be sad or happy about last year’s grade 12 examinations in Cambodia, it was a shame to the country and the students themselves. But at least this could eliminate the long existing briberies between the teachers and the students taking exams. Besides this fact, the briberies are taking place during the normal school days as well, from my experience being a high school student before, most of the teachers tended to have a routine of selling the examination score every month, they would just exchange the exam grade for money. Anyway, everyone is wishing for the best to happen, surely we are hoping to have more than 26% of the students passing exams this time. 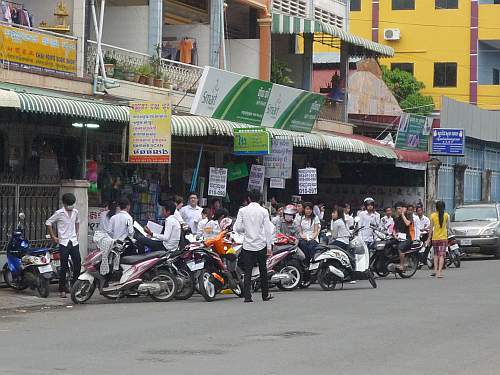 The pictures of activities of Cambodian students before, during the exams. 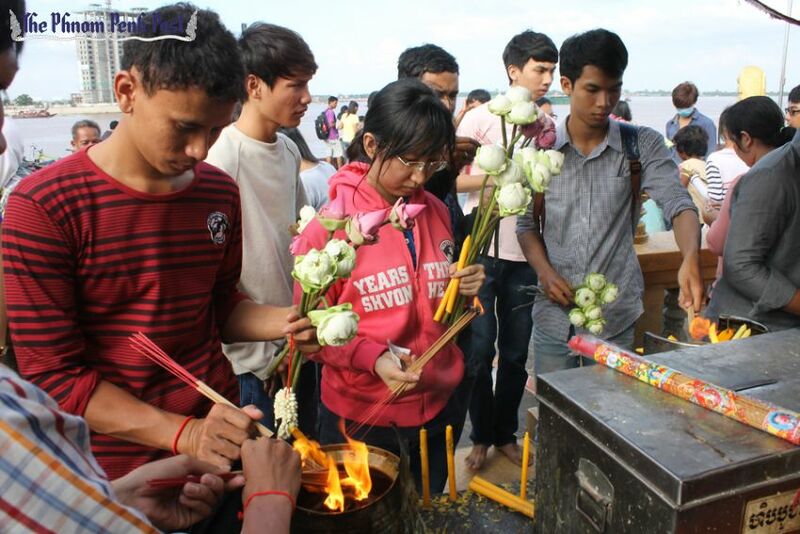 Students like to come to worship Preah Ang Dongker to help them to pass on the examination day. Group of students at photocopy centres printing examination cheat sheets before the examination day. The proctors are checking for any cheating documents at the school entrance. During the examination, I admit that this looks far better than the time I was taking the grade 12 exams. If we take a look at People's Republic of China, the National College Entrance Examination is known as Gaokao. 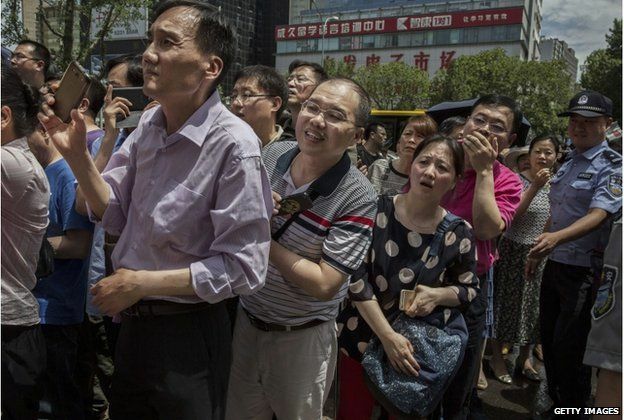 Gaokao is immensely important for every high school students in China, since their future careers paths almost entirely dependent on the its results. 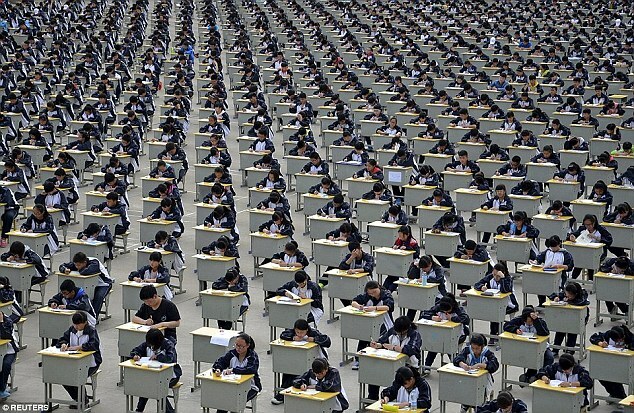 Gaokao are taken by more than nine million teenagers every year. There were lots of cheating histories using various gadgets took place during the examinations, those cheating students were smart, but maybe not smarter than the authorities, as they were caught every year. 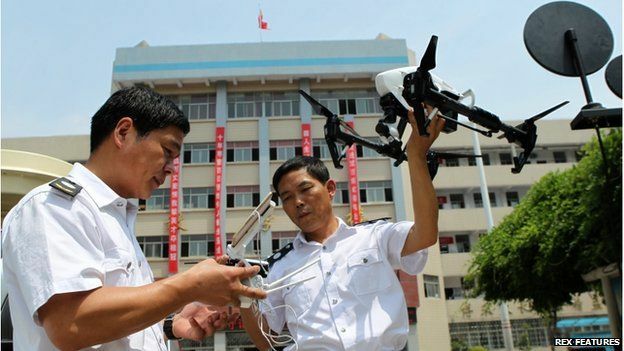 Recently, the school has started to use high-tech silent-flying drones to scan for any unusual signals being sent to devices smuggled by students taking the annual test, the drones are employed to battle against cheating among not only students but also teachers and parents. The pictures show the intensity happened between student, parents, and authorities during Gaokao. 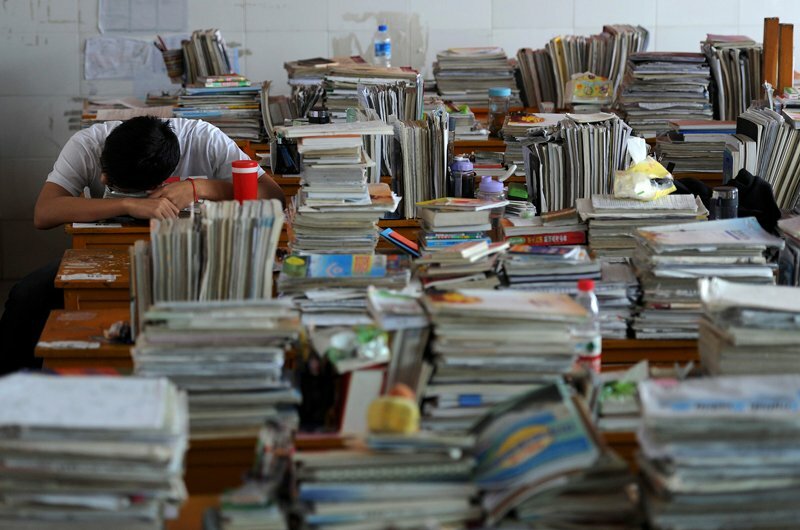 Students are forcing themselves to study 15 hours per day to prepare for Gaokao. You can feel the pressure while looking at this picture. The so-called high-tech silent-flying drone. Not only students have pressure, but also parents waiting outside have the same amount of pressure. Lastly, there will no second chance this year for those who fail the exams, consequently, working hard before the big days is the only solution. 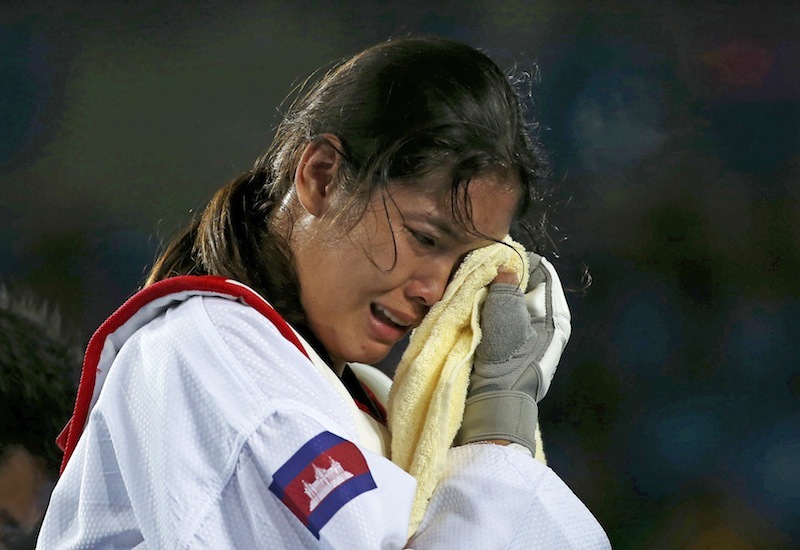 Photos are from KhmerTimes, The Phnom Penh Postm, REUTERS, China Daily, www.news.cn.